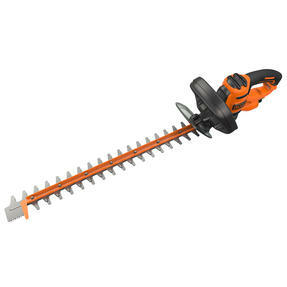 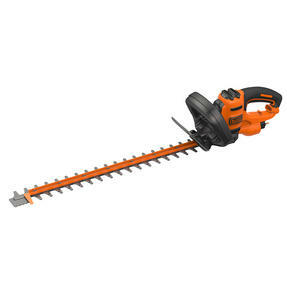 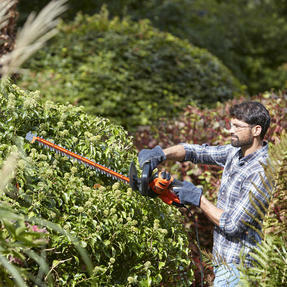 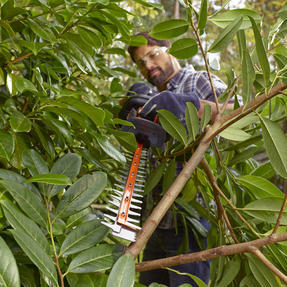 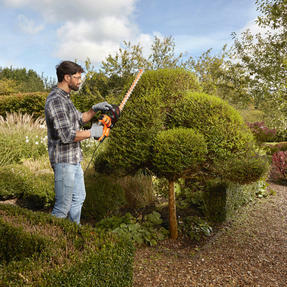 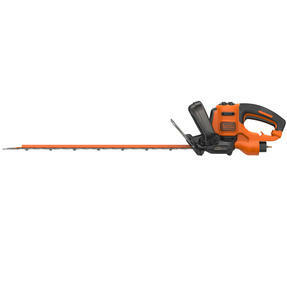 Black + Decker is proud to present its 550 W hedge trimmer, which features a formidable sawing speed of 1870 strokes per minute and an auxiliary extension blade for added performance. Lightweight, practical and user-friendly, the unit is equipped with a second handle for easy operation and a functional safety screen that protects hands from falling branches. Expertly engineered for speed and efficiency, its angled, extra-sharp 60 cm blade will make fast work of all your garden landscaping tasks. 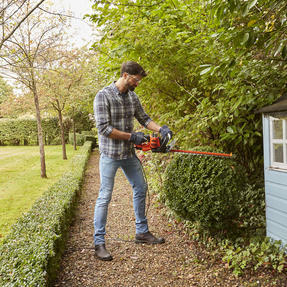 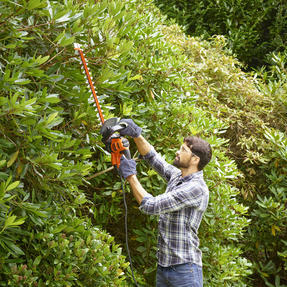 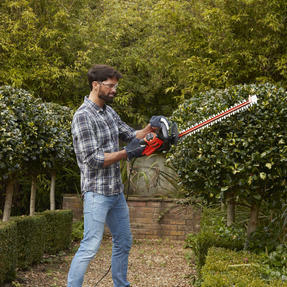 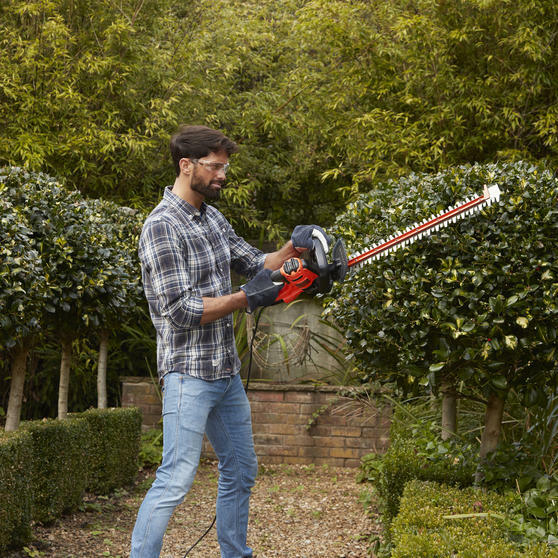 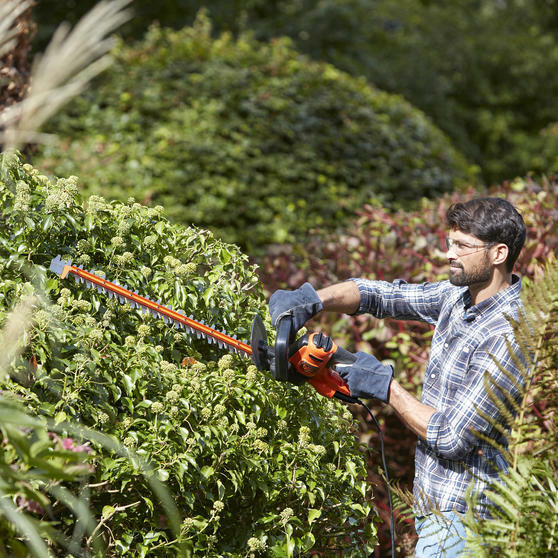 With an angled 60 cm blade and 550 W of power, this Black + Decker hedge trimmer is capable of meeting all your landscaping needs. 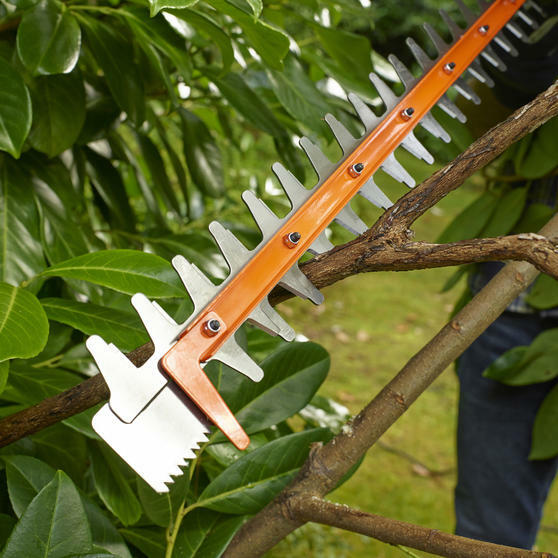 This powerful unit features a secondary saw blade for added cutting capacity, enabling you to tackle hedges up to 1.8 m in height. A durable see-through hand screen ensures your arms are kept safe from falling branches and other flying debris during operation. Weighing just 2.54 kg and boasting an ergonomic design, the trimmer can be used for extended periods of time with minimal discomfort. 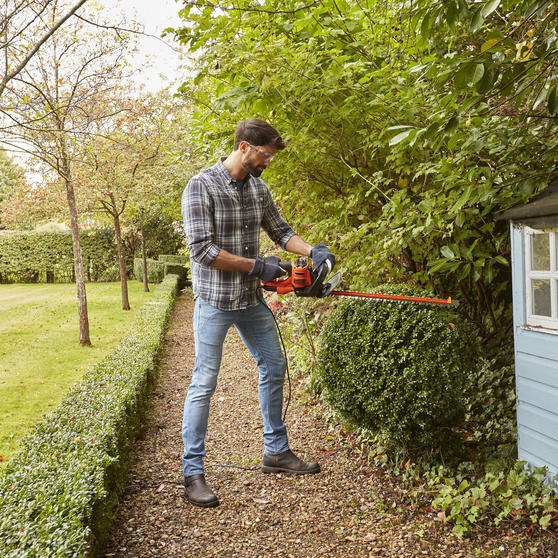 The device is fitted with an innovative two-handed starting switch, which effectively prevents accidental start-ups for added safety.